​Steve Rahter has a Bachelors Degree in Social Science from Thomas A Edison University and a Masters Degree in Child Development and Guidance from Goddard College, as well as a diploma in Ministerial Studies from Berean College. He worked as a special education teacher and a Guidance Counselor for 25 years before becoming a pastor at Praise Tabernacle. He has been involved as a teacher with PBI for many years. He and his wife Laurie have been married for 28 years and they have two daughters. Joshua Kennedy is originally from Washington State, he has served in full time ministry since 1999 he currently serves at Praise Tabernacle in Egg Harbor Township, New Jersey since 2004. He holds a Bachelor’s Diploma in Ministry from Wagner Leadership Institute and a Bachelor's degree in Religion from Thomas Edison State University. Joshua was ordained as an Apostle, October of 2011. Apostle Josh and his wife have been married for 20 years and have two wonderful sons, Elisha and Israel. The Kennedy's have traveled throughout the United States, Caribbean, Africa, and Europe equipping leaders to advance through the challenges of life, by building character and reaching their full potential. ​Lisabeth Rich has been walking with the Lord for 40 years and has been a member of Praise Tabernacle for 32 years. She has been married to her husband, John, for 45 years. They have two daughters, six grandchildren and one great-grandchild. ​​She has a financial background working with H&R Block as a tax professional and also in management for the past 31 years. She has served with Women’s Aglow Ministry in the past and has experience teaching in both the business world and local bible studies. In 2014 she attended and completed Dave Ramsey’s Financial Coach Masters Series in Tennessee. Since then she has been facilitating Financial Peace University and providing one on one financial coaching. Dan McAnney is married to Marcy and is the father of four daughters, Danielle, Cassidy, Erin and Shannon. He and Marcy have been in ministry together since 1993. Dan pastored in a Pentecostal denomination for over fifteen years. In 2013 the McAnneys founded Living Springs Global Fellowship, a ministry devoted to Prayer, Unity, Training and Expanding Kingdom territory. They planted a church in 2014 in Hammonton, NJ which Dan hopes will be the first of many that they will plant in the coming years. Dan places a strong emphasis on unity in the family of God and mentoring Five-fold ministers. He also has a desire to bring help and healing to people broken by difficult life circumstances through ministry to the fatherless. Marcy McAnney is married to Dan. They have four beautiful daughters. They’ve been in ministry in one capacity or another for 21 years, including taking many young people into their home. Marcy began in youth ministry and is now an itinerant minister, ordained with Global Awakening. In 2011, Marcy had her first power encounter with the Holy Spirit which lasted over 2 hours and has had multiple encounters since. God has opened doors of ministry for her in conferences, churches and retreat settings. She carries a prophetic and teaching anointing. Marcy also co-pastors Living Springs Global Fellowship with her husband and works to promote unity in the body of Christ and strengthen the church in their region. Roger grew up on a dairy farm in Western New York State. After a dramatic encounter with the Lord in 1962, he attended Columbia International University in Columbia, South Carolina graduating in 1967. After college he spent 17 years in mission work serving with C.L.C International in the U.S., Trinidad, Panama, and Montreal. He joined the pastoral staff of Praise Tabernacle in 1985 and that same year married his wife Barbara. Roger retired as Senior Pastor at Praise in 2002 and since then has served as needed at Praise. Roger and Barbara now live on a "gentleman's farm" in Tuckahoe, NJ. ​Karen Hanselman was led to the Lord by her husband-to-be, Garth Hanselman in 1980. After getting married in 1983, they moved to Florida where the Lord led them to several different churches to serve, each one ordained by God and individually instrumental in their spiritual growth. They had 3 amazing children… Aaron, Jonathon ,and Rachel. Besides their relationship with the Lord, raising their family was the greatest joy in their lives. Karen worked as an RN and they enjoyed the warm sunshine until moving back to NJ in 1996. They served in leadership in the local church until being called out to their own ministry in 2007. Karen and Garth are founders and co-pastors of The Champions House Church and Arts in Egg Harbor City NJ. They are end-time revivalists whose desire and and call is to teach the believer how to develop a more intimate relationship with God, impart a spirit of excellence in service, and send out mature believers to demonstrate the power and presence of God. Karen’s greatest desire is to see God’s people moving forward and fulfilling their own destinies and callings that God has specifically designed for their lives. Pastor Garth Hanselman is the Senior Pastor of The champion's House church & Arts of Egg Harbor City, NJ, where he has been called to train and disciple spiritual storm troopers to boldly affect change in the world by the leading and direction of the Holy Spirit. He gave his life to serve Jesus as a teenager, and served under other ministries for many years with integrity and a spirit of excellence, even for the smallest of tasks. He is married to co-pastor Karen Hanselman, has 3 children and 2 grandchildren. Moving under an apostolic/prophetic anointing, Pastor Garth is known for his fiery passion and commitment to believing God's Word and possesses a "take no prisoners" approach to believer's overcoming by faith. As an end-time revivalist, he is called to raise up believers to move forward in their own gifts and callings, ultimately ushering in the return of our Lord Jesus Christ. As a man of faith, he is prepared to share that passion, and by the power of God, break everything that stands in the way of a believer's freedom. Brother Louis Bell is a member of the Love Center Church in Atlantic City Pastored by Wong & Christine Young, where he has served for the past 30 years. He has the gift of teaching and has taught bible study at his church for ten years. He is currently the head of counseling ministry and team lead of street, outreach, and bible study ministries. He is also involved in the ministry of helps. Louis graduated from Dr. Leon Van Rooyen's Global Ministries Bible Institute in 2015. Andrew Surace, was born and raised in Queens, New York. He received the call of God to become a Pastor at the age of 11. 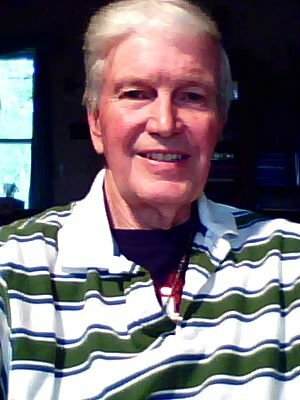 After three years of pre-med studies, he enrolled in Valley Forge Christian College, where he graduated with a Bachelor’s Degree in Ministry in June 1980. Immediately after graduating from college, he established Abundant Life Assembly of God in Marmora, NJ, where he was pastor for six years. In October of 1988 he planted Covenant Life, which became Christ Fellowship on January 11, 2011. He and his wife, Kathleen, have six children and seven grandchildren. Pastor Surace has a great love for planting, establishing, and encouraging local churches, and for mentoring young pastors in the ministry. In addition to planting new churches, he is an author of two contemporary devotionals: Power Points from the Word and Stepping Stones Along the Path of Life. His other love in ministry is as a worship leader, leading people into the presence of God. Christ Fellowship’s first worship CD, Breaking Through the Darkness, has proven to be a great blessing to the body of Christ. Pastor Surace is ordained under Rick Joyner and is also an ordained National Elder with Morningstar Ministries out of Fort Mill, South Carolina. He received his Doctorate in Practical Ministry from Peter Wagner and Wagner Leadership Institute in Colorado Springs, Colorado. Dedicated to the Word of God, Gwen Mouliert is a celebrated author, evangelist, pastor, teacher, and is excited about helping others to engage in what the Lord has in store for them. Gwen has ministered extensively across the United States, Canada, India, and Europe. She is the founding pastor of Proclaiming His Word Ministries Inc.
As a national and international conference speaker, Gwen has been faithful to compel God’s people to live victoriously through applying the Word of God within their lives. Full of wisdom and revelation knowledge, Gwen utilizes a blend of strong, sound, practical, biblical teaching, along with her personal humorous life-lessons to transform the lives of those who have an ear to hear what the Spirit is saying. She continues to be faithful to compel the Body of Christ to live a life style that is pure and full of integrity and too continually seek the face of God. Gwen’s compassion and energy exudes passion to fulfill God’s mandate to equip believers to find hope and restoration through the redeeming work of Jesus Christ. The unique anointing and gift the Lord has entrusted to her will heal your heart, refresh your spirit, and bring you closer to the Lord. Gwen has appeared has authored several books to include the book Satan's Secret Weapon, (formerly entitled Overcoming Bitterness), which has been featured in such publications as Winds of Fire, Charisma Magazine, and Spirit Led Women Magazine. Presently, she resides in Pomona, New Jersey with her husband and family where she operates her ministry headquarters. 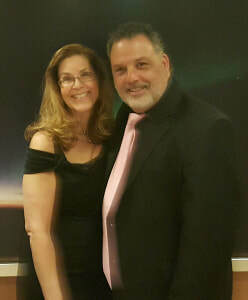 C. Joanne Martinez and her husband Felix are the founders and pastors of Soaring Diamonds, based in South Jersey. Over 8 years ago, God spoke and said, “I have called you to the lost sheep of Israel; it’s not church as usual.” With much hesitation and with confirmation of God’s command and direction, they began their move forward. Coming from a well-structured organization for over 14 years, this journey began with no pattern for them to follow, but the life of Jesus. ​Strategic and vital elements of Soaring Diamonds are the gifts they are entrusted with by God. They minister to others by incorporating their gifts into their everyday lives to present application, bringing about transformation as they serve along side others in ministry. The Martinez’ have been married over 20 years, and together have raised 6 children, 4 of which are married and are grandparents of 16 and counting. Joanne previously attended Cumberland Bible Institute and Gary Whetstone School of Ministry. Most recently, she graduated from Global Ministries and Relief, Inc., founded by Dr. Leon Van Rooyen. She is a current student at Praise Bible Institute. Joanne’s heart is to set an example of the love of Jesus Christ where, at all cost, people are snatched from the hands of the enemy and pointed to the cross and the feet of Jesus. Because of the different walks life has taken her through, she has a special place in her heart for helping abused individuals within the church community. She hopes to become the example, to teach others to follow her successes, deviate from her failures and not fall into the same disappointments she has faced. Her life’s purpose is to encourage with God’s Word and inspire with her life. Pastor Antonio Gandy was born and raised in Pleasantville, NJ. At the age of 17, he became the Minister of Music at Price Memorial A.M.E Zion Church in Atlantic City, NJ. Shortly after, he became the Youth Director of Music for Mt. Zion Baptist Church in Pleasantville, NJ. Antonio has had the opportunity to play for many recording artist and churches around South Jersey. In 2001, Pastor Gandy started his singing ministry called “Antonio Gandy and Fulfilled Prophecy,” and released two albums “For God I’ll Live, For God I’ll Die” (2005), and “Can’t Sit Down on God” (2006). In 2007, he was licensed as a minister of the Gospel and was ordained and installed as the Pastor and Founder of ‘Center of Deliverance and Empowerment’ in 2009. In 2015, Pastor Gandy became the Pastor of Trinity Church in Atlantic City. An effective communicator of God’s Word, Pastor Gandy is known for his practical and dynamic preaching and teaching style which helps individuals apply truths of Scripture to their everyday lives to help them grow and reach their destiny. In addition, Pastor Gandy serves as a member and Champlain of the Fellowship of churches organization in Atlantic City and is actively pursuing his bachelor’s degree in Christian Studies at Grand Canyon University. A family man above all, he is happily married to Sinetra Gandy and together they share the joy of raising their two daughters, Janaia and Jianna Gandy.